RSI Business Services is your one stop source for all of your merchant credit card transactions and business credit card processing needs. We specailize in servicing New England based clients for all of their credit card processing needs. We offer Merchant account services for Visa, MasterCard, American Express, Discover and many private label credit card companies are only a click away from you right now. Our services make accepting credit cards with a merchant account easy and fast. 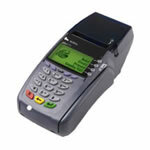 We offer solutions for point of sale transactions, card not present transactions and internet transactions. We also have software solutions available to fit every business need. We provide hassle free Merchant Credit Card Services. Having your own Merchant account to accept all major credit cards at affordable prices is critical in today's business environment. We offer more than low cost Merchant Credit Card Processing Solutions. Our Merchant customers enjoy customized services at low prices designed to get them up and running fast!